Avi Bhoora was appointed as AfriSam’s Construction Materials Executive in October 2015. He brings to his new position a wealth of knowledge and experience gained from a career spanning over 35 years within the construction materials industry. Prior to rejoining AfriSam in 2013 as the General Manager Construction Materials South, Avi held a number of senior management positions including Readymix Area Manager Eastern Region (Lafarge), Group Logistics Manager and General Manager Slagment (NPC) and Managing Director Aggregate and Readymix (NPC). 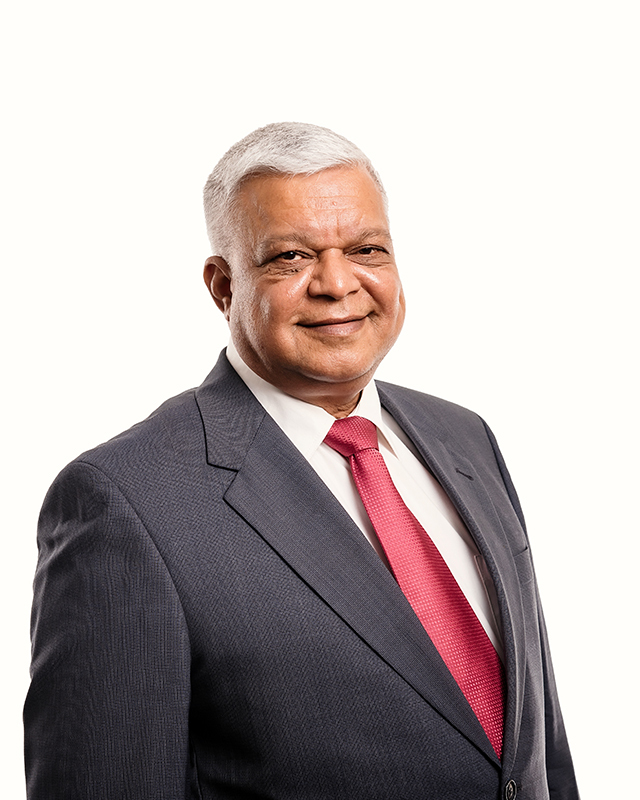 He also served in a number of positions at Anglo-Alpha (AfriSam) and at various engineering consulting firms early in his career.Avi holds a National Diploma in Civil Engineering and has completed a number of business and leadership programmes. He is also a member of the Institute of Quarrying South Africa and the South African Institute of Civil Engineers.